Availability : We depart any day with 2 people. A great wet season trek! Step back in time and experience a living Inca culture! The lifestyle in the remote Andean communities on this Lares trek Peru is largely unchanged since Inca times, and on this route you will get to witness it first-hand. On this classic 4-day Lares trek Peru, you’ll hike past stone houses with thatched roofs, children tending herds of llamas and alpacas, and women in colorful traditional dress spinning yarn, hiking along some of the same trails and paths that the locals use every day. 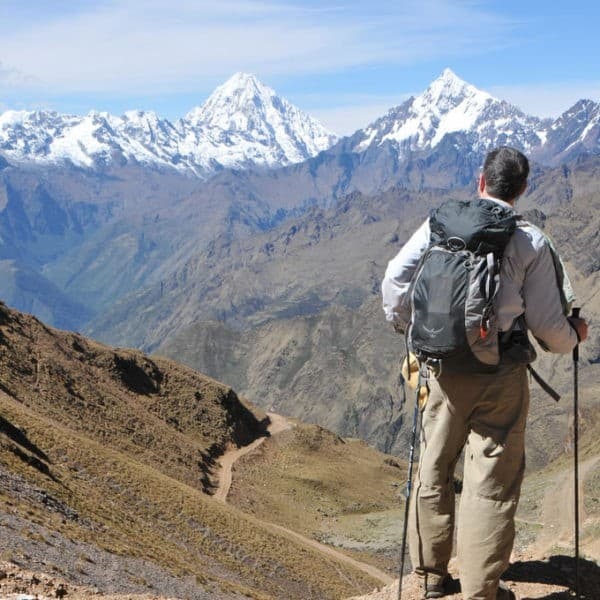 How is the Apus Peru 4D Classic Lares Trek Peru unique? 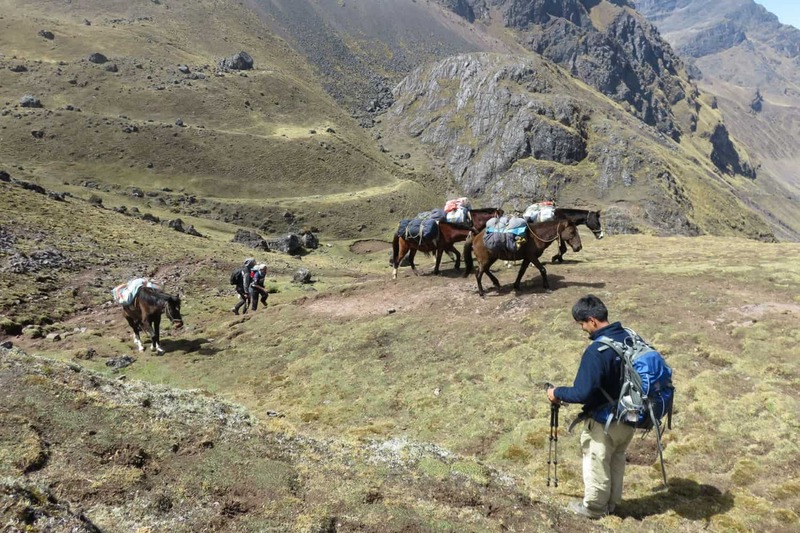 Our multiple Lares trek routes are different than the norm, getting you off the beaten track. We have worked in community development in the Lares Valley communities since 2007, including supporting the local school. As a result, we have a very close relationship with the people there, many of whom work as part of our trek staff, from porters to cooks to muleteers. 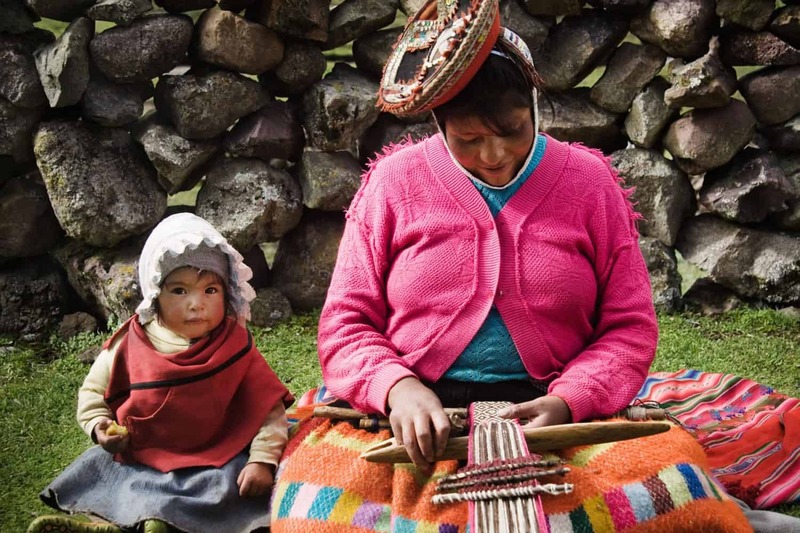 Apus Peru’s sister non-profit organization, Threads of Peru, also works with the weavers of Chaullacocha. Travelers who hike many of Apus Peru’s Lares Valley Treks often get a chance to visit the school and the weaving association – this is a totally different experience than the average Lares trek! 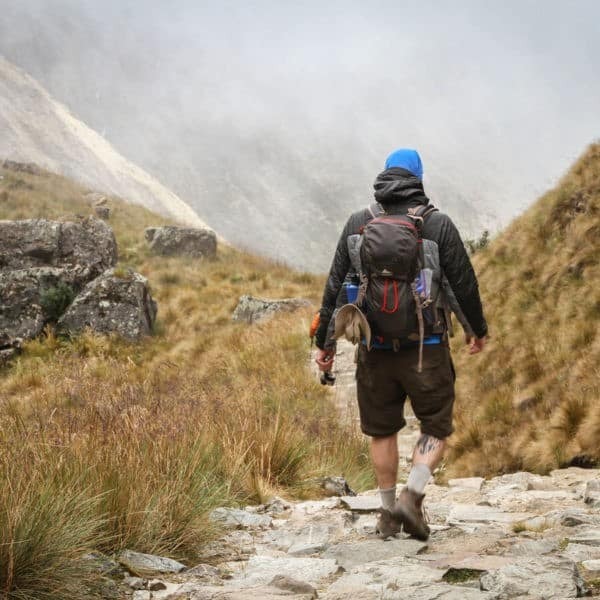 This 4D Lares Trek Peru is an immersive cultural experience and you can expect to see locals going about their daily lives, practicing centuries-old traditions. 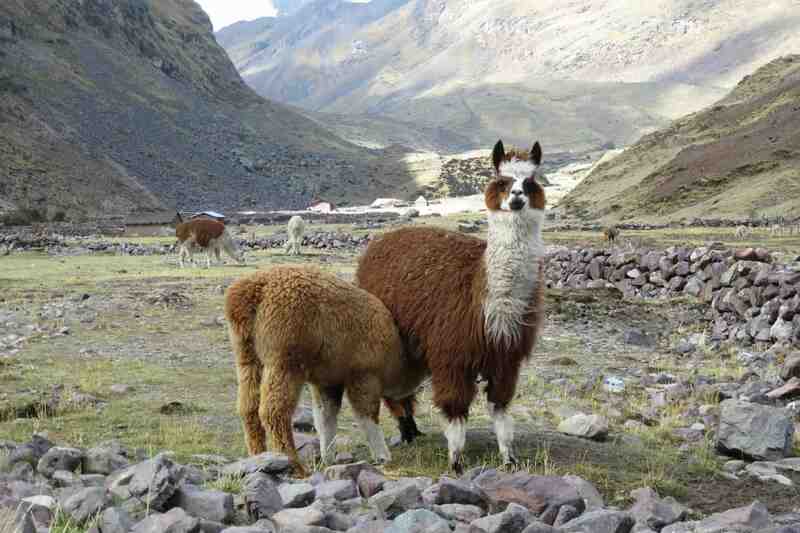 The Lares trek Peru also features an abundance of wildlife, stunning alpine lakes, mountain vistas and waterfalls. This trek does not include a visit to Machu Picchu. 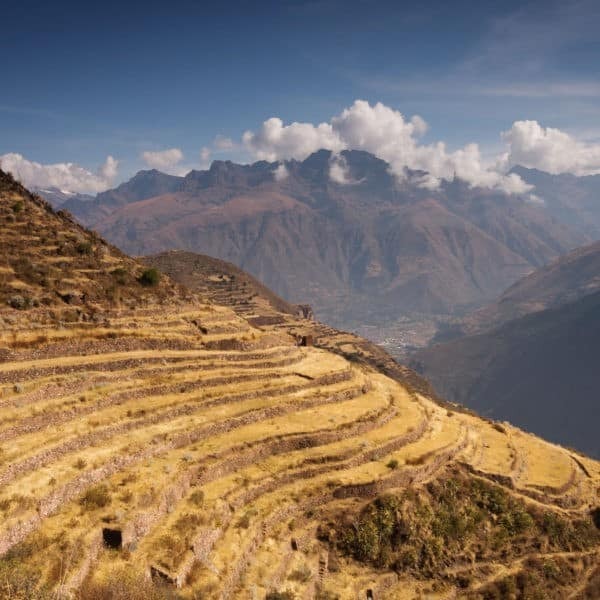 Add on an extension to this enigmatic Incan site! Basic foam mattress. If you would like greater comfort during the trek we can rent you an inflatable mattress. See Optional Extras & Upgrades below. Students: USD $30 off, in certain circumstances. Please enquire for details about eligibility. 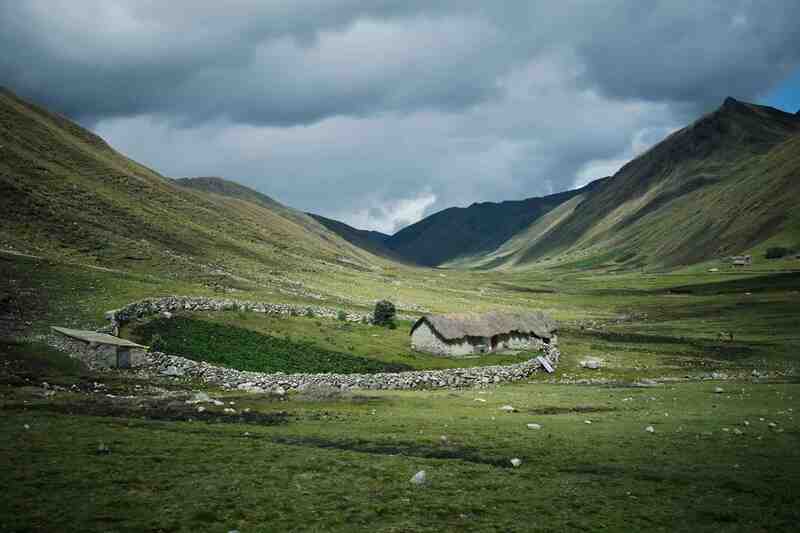 On the Classic Lares Trek Peru you will be visiting remote, high-altitude villages. Conditions are harsh and you should be prepared for extremely cold, rustic conditions. This is a great trek for its opportunities to interact with local community members – a genuine and very memorable Andean cultural experience! The Classic Lares Trek Peru is a great wet season trek! If you want to trek anytime between December and March, read more about our Wet Season Trekking. After picking you up from your hotel in the early morning, we leave Cusco behind and head to the Sacred Valley in order to start our Classic 4-day Lares Trek Peru. You’ll be left breathless as we come around a corner and you catch your first glimpse of this verdant valley, and the impressive Urubamba mountain range towering above it. After passing through Pisac, we head to Huaran where we will start our hike. We will follow a small river up through the mountain corridor, passing pretty farmland along the way. 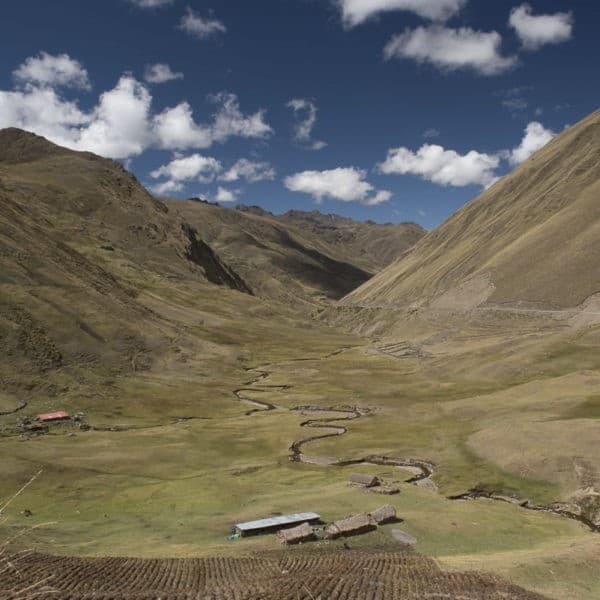 After about 4 hours, we will reach the traditional Quechua community of Cancha Cancha (3800m / 12,467ft), a highland plain scattered with stone houses. After passing the village, we will set up camp for the night, surrounded by imposing peaks. Interested in an even more culturally-immersive experience? Check out our 1D Huaran Weaving & Eco Tour to add an extra day at the beginning of your Classic Lares Trek Peru! This morning, we start our hike passing the Upper Cancha Cancha village where children can sometimes be seen tending their herds of llamas. After a climb, we reach two brilliant glacial lakes: Suirococha and Yuraccocha. It’s not uncommon to see several bird species here, including the Andean ibis and Andean goose. From here, the trail climbs steeply upwards for about 2.5h to the first pass, Pachacutec (4700m / 15,419ft). Near the top, we are rewarded with views of the snow-capped peaks of Pitusiray (5750m / 18,864ft) and Chicon (5500m / 18,044ft). The path then continues for about an hour along a narrow, barren ridge before dropping down into a beautiful secluded corrie filled with glacial lakes, an area rich in bird-life. We follow a series of nine cascading waterfalls to the village of Quishuarani (3700 m / 12,139ft), where we will camp for the night. We will start early today and walk for about 3h, heading west up a small valley until we arrive at a lake and start a steep zig-zag climb up a narrow trail to the top of the second pass, known as the Abra Huillquijasa (4450m / 14,599ft). From the pass, we’ll feast our eyes on the incredible sapphire blue lakes below. We will continue on for about an hour to the village of Cuncani (3800m / 12,467ft), where we will have lunch. After lunch, we will descend around 2.5 to 3 hours towards the town of Lares (3100 m / 10,170ft). Half an hour before arriving at Lares, we will stop for a well-deserved soak in the famous hot springs! We will camp here for the night. After a leisurely breakfast and a last dip in the hot springs, our transport will pick us up and we will return to Cusco. Time permitting, we will stop at the ruins of Ancasmarca en route. Total travel time today is approximately 4-5 hours. 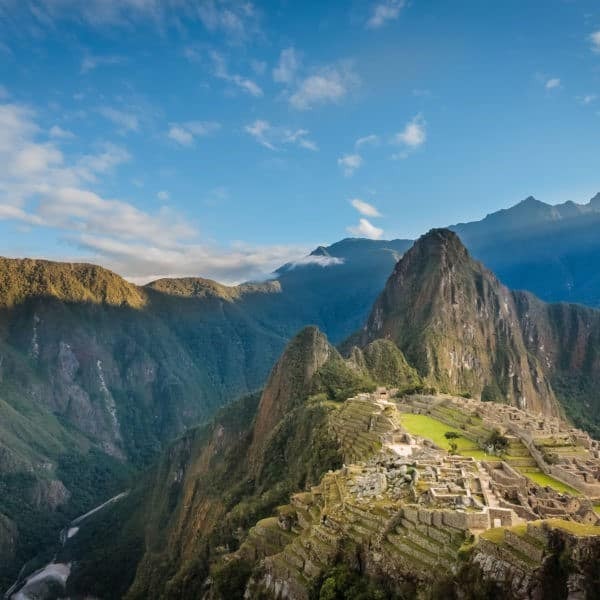 Extend your trip by one day and visit the unparalleled Machu Picchu! Check out our Machu Picchu Extensions for more information. Availability : Any day with 2 people. A great wet season trek!